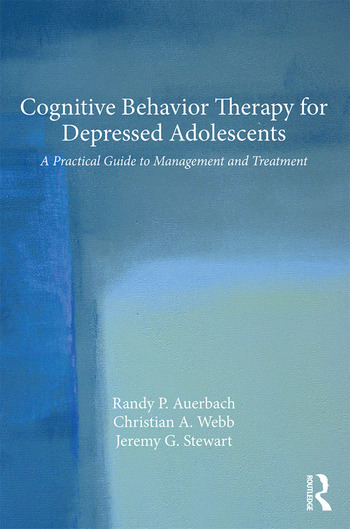 Cognitive Behavior Therapy for Depressed Adolescents provides clinicians, clinical supervisors, and researchers with a comprehensive understanding of etiological pathways as well as current CBT approaches for treating affected adolescents. Chapters guide readers from preparations for the first session and clinical assessment to termination and relapse prevention, and each chapter includes session transcripts to provide a more concrete sense of what it looks like to implement particular CBT techniques with depressed teens. In-depth discussions of unique challenges posed by working with depressed teens, as well as ways to address these issues, also are provided. Randy P. Auerbach, PhD, ABPP, is a board-certified clinical psychologist and an assistant professor in the department of psychiatry at Harvard Medical School. At McLean Hospital, he is the director of clinical research for the division of child and adolescent psychiatry. Christian A. Webb, PhD, is an instructor in the department of psychiatry at Harvard Medical School and an assistant neuroscientist at McLean Hospital. Jeremy G. Stewart, PhD, is a postdoctoral fellow at McLean Hospital and a research fellow in psychology in the department of psychiatry at Harvard Medical School.